April is only four months away. If you’re planning to do any hiking in spring/summer 2016, and you’re anything like me, you’ve already settled into a mix of obsessive gear research, premature weather speculation, and message board lurking. 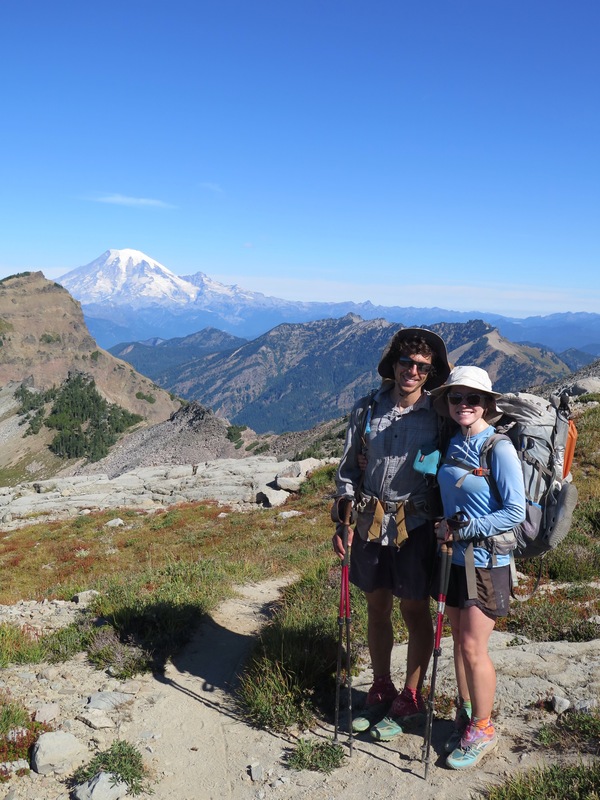 While preparing for our thru-hikes, we so valued the thoughtful and patient feedback we received from experienced hikers. 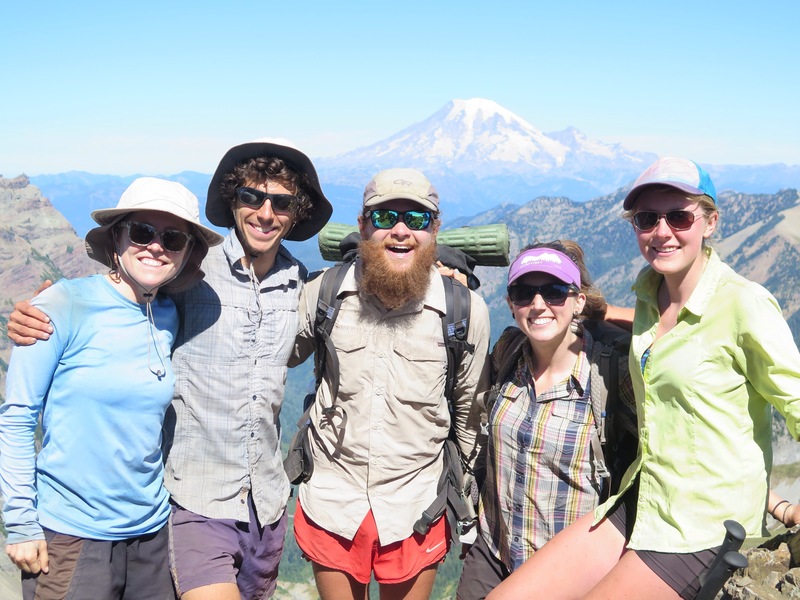 Whether you’re thinking about hiking 2 miles or 2,000, if you have any questions at all, please drop us a line! We’d love to hear from you. Honestly. 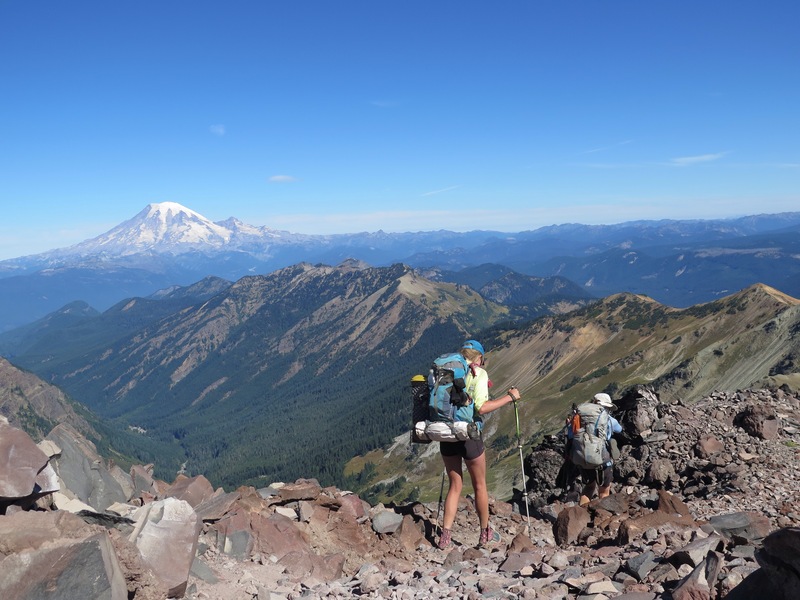 General things we know a lot about: gear, meal-planning/logistics, transportation, picking a section hike, technology on trail. 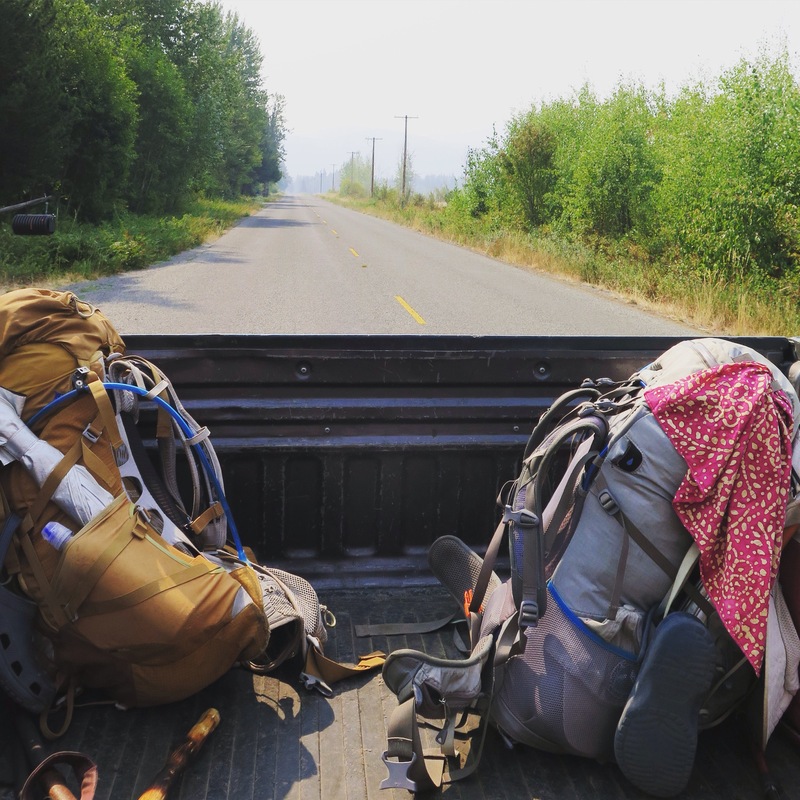 Specific things we know a lot about: hiking with a partner or significant other, vegan backpacking / plant-based nutrition, carving out time for a long hike. 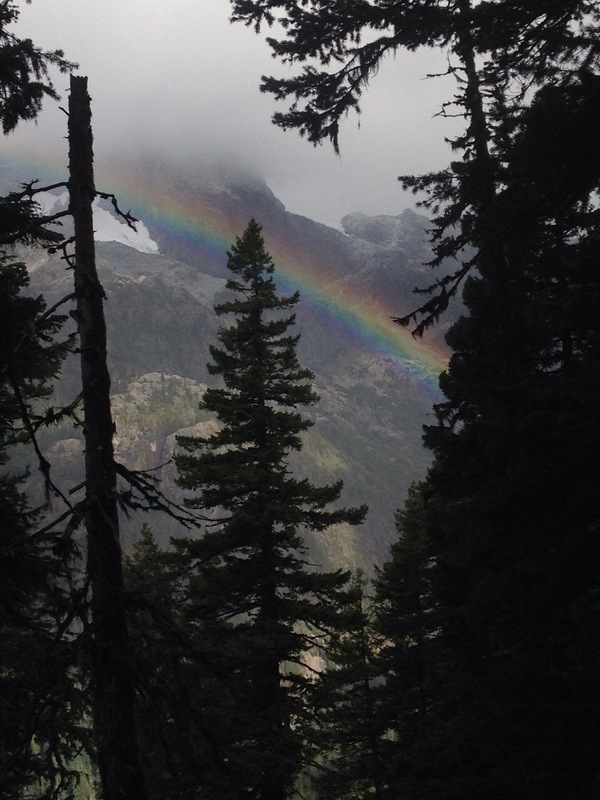 We left Stehekin in the company of new and old friends, and all of a sudden, it was summer again! 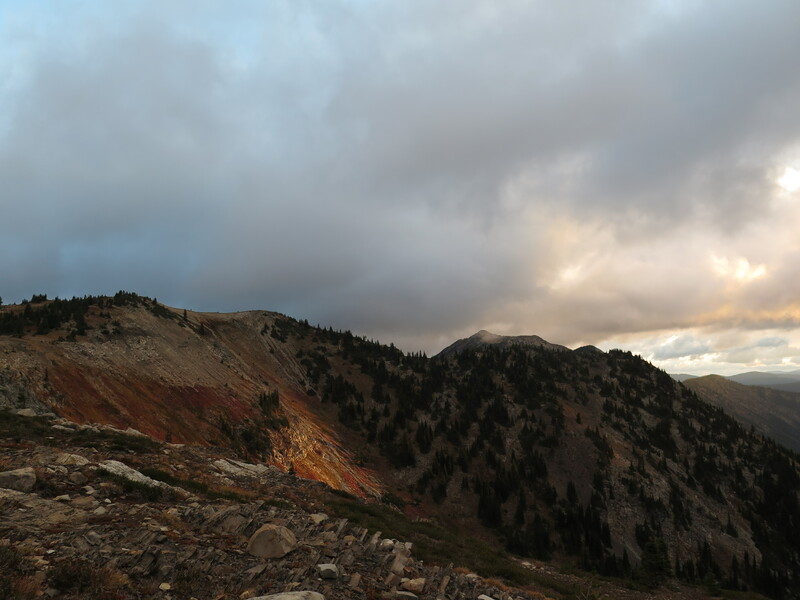 After two weeks of cold, wet hiking, the sun reemerged, and we got 80-90 degree weather for the rest of the trek. 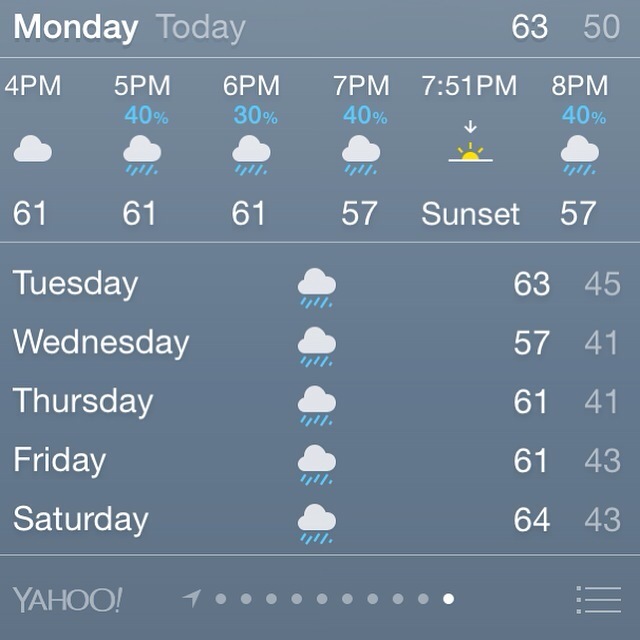 A strange and welcome change for our soggy band of hikers! On the shuttle back from town to the High Bridge Ranger Station, our friend IceAxe (a two-time AT thru-hiker and the fittest 68-year-old you’ll ever meet) looked up at the mountains above us and said, “They’re waiting for us.” The sun was shining, and we had only 89 miles left to go. 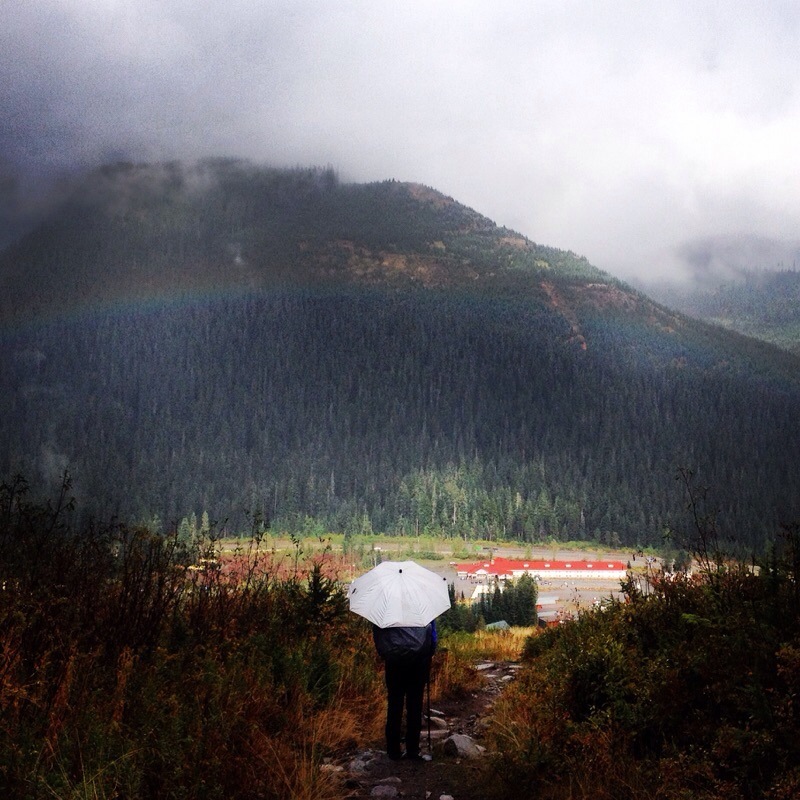 Trail Magic at Rainy Pass with Easy, B.K. and Prickly Pear. 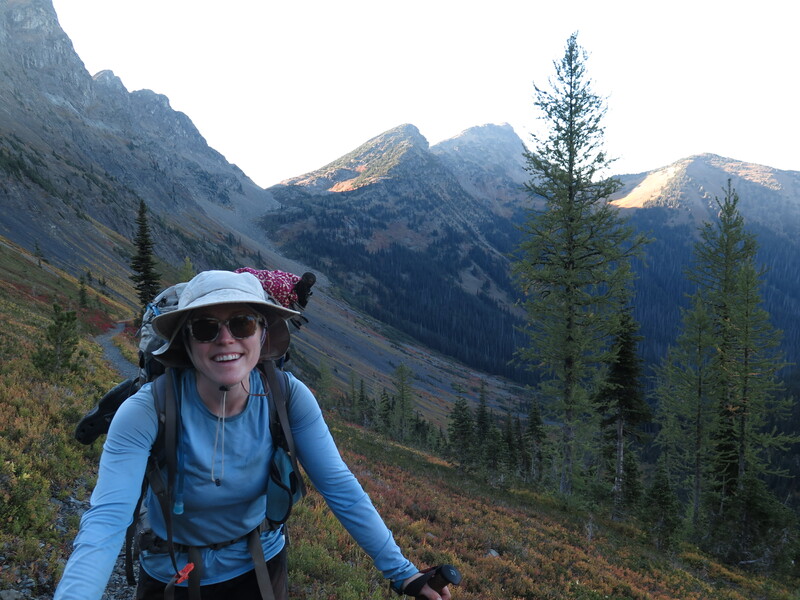 Our last days on the trail were filled with trail magic, an enormous porcupine, snow-capped peaks, sweeping vistas and a few more tough climbs for good measure. 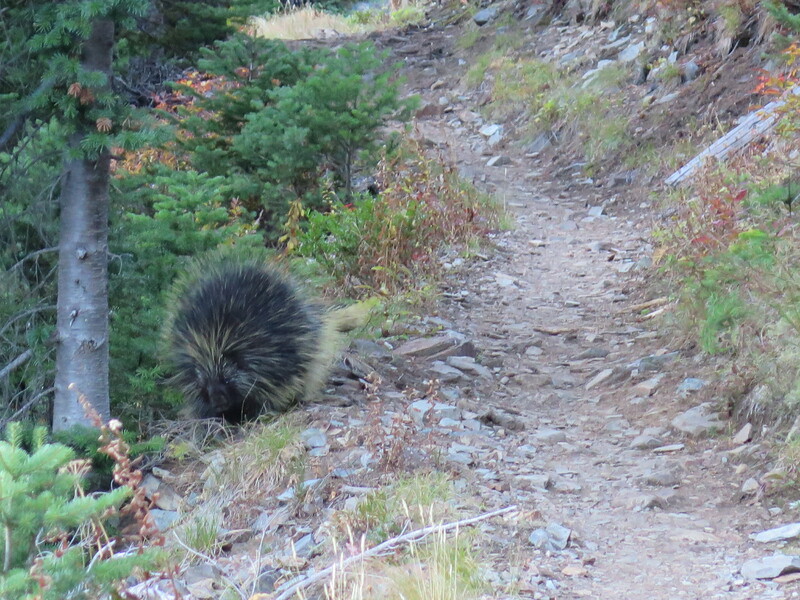 A porcupine in the trail! We experienced just about every emotion as the miles wound down: sadness for all that was ending, gratitude for what we’d been through and for our health and safety, eagerness for a chance to rest our weary bodies, and excitement for the sense of accomplishment that would come from crossing the border into Canada. But it wasn’t over ’til it was over, and it always seemed that there would be more miles to hike. Our last night on the trail was so windy that we weren’t sure if our tent would hold up, or if we’d be able to sleep. We had to laugh, though; it seemed that there was always a new challenge for us on this trail, even at the last possible moment. Sunrise special effects on our last morning. 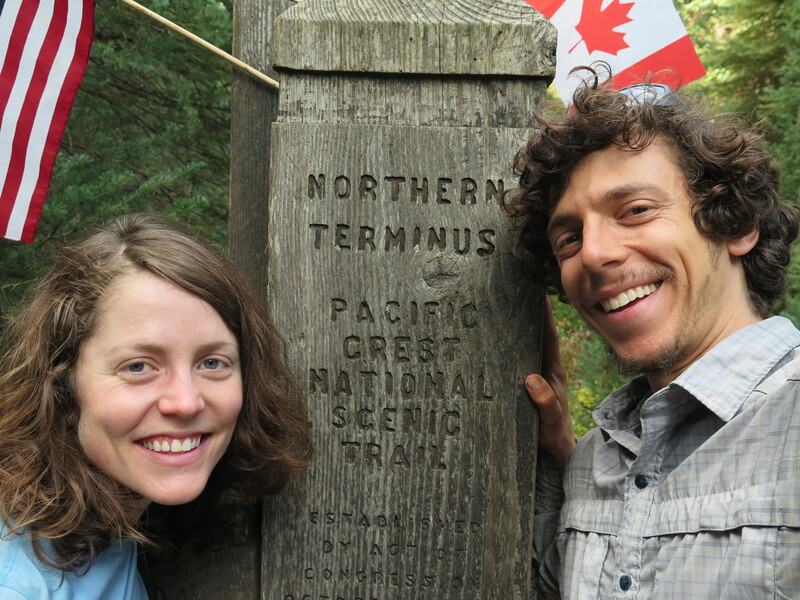 On little sleep and pure adrenaline, we woke up at sunrise to hike the last 11 miles to the US/Canada border. By late morning, the pull was strong. 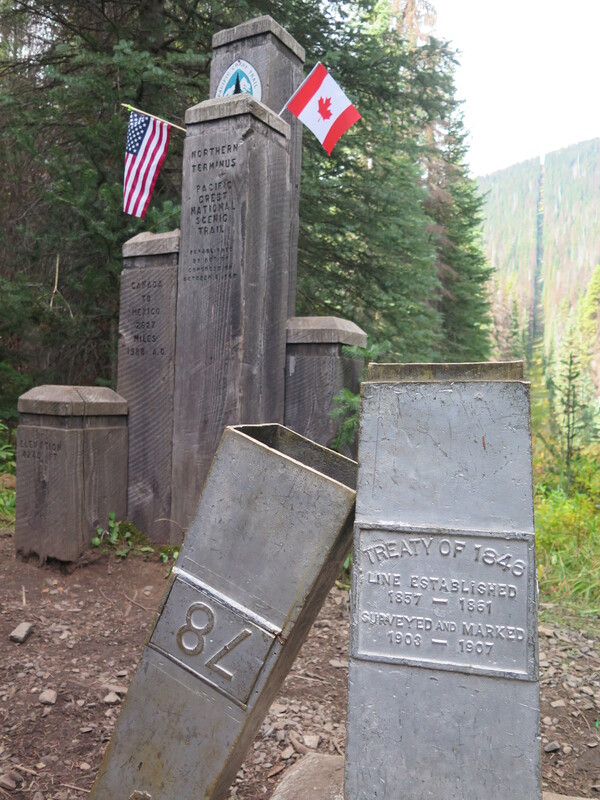 At 10:00am, we turned a corner and saw the famous monument marking the northern terminus of the PCT. With a deep breath, a bit of reverence and some nervous giggles, we ran to it. It was a strange and surreal moment, though it still didn’t seem like it could really be the end. 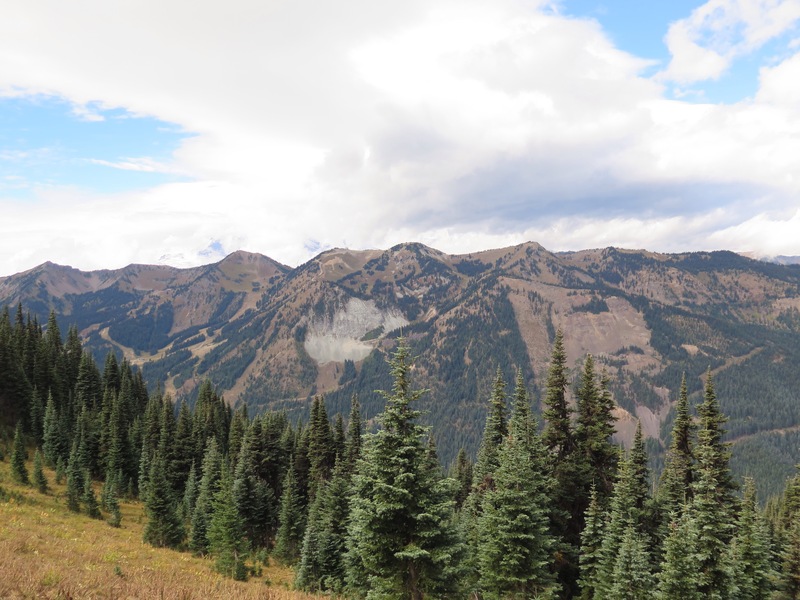 We tried to soak it all in among some of our fellow hikers, but we still had 8 miles left to hike to Manning Park (back to civilization) that loomed over us. So, once again, we packed up and started walking. As we hiked into Canada, we decompressed. 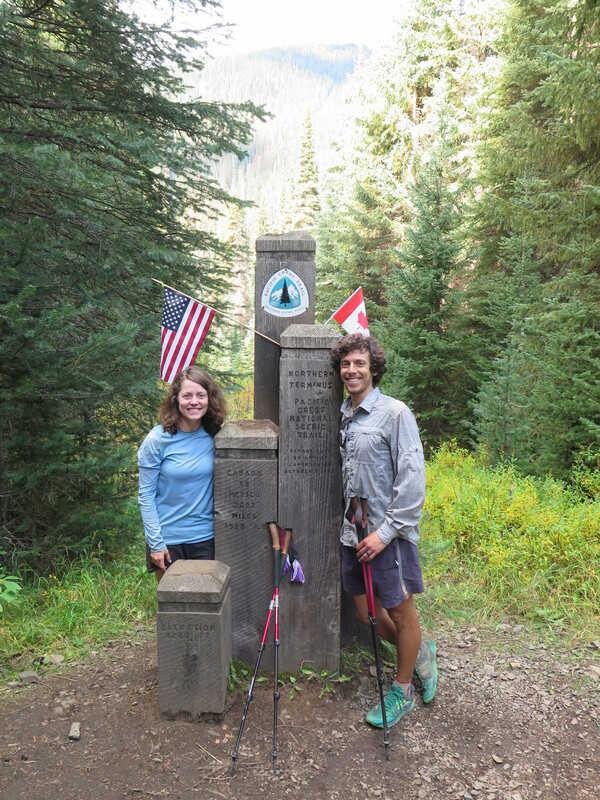 It was really over, and somehow we had managed to hike every mile of the PCT in a year when that had seemed impossible. Plus, we were still in one piece, and we hadn’t gone crazy. We had just kept going until we ran out of miles. In the end, it all felt like a gift, pure and simple. It’s been over a week now since our 2,650-mile journey came to an end, and there’s still a lot we haven’t processed. Being back in the “real world” — first, Seattle, now Atlanta — seems fine, and we’re taking it in small doses. We’ve adjusted to using computers and calendars again, and it’s been wonderful to spend time with friends and family who we have missed. But, already there’s some grief that comes along with leaving the trail behind. After all, it was our home for nearly five months, and, though it wasn’t always comfortable, it was the most stunning place to call home. We miss the quiet and the beauty, and the surprises around each turn. I miss the humility that comes with staring down a huge volcano, and the peace I felt from walking through every obstacle and every joy. It was simply amazing, and we tried to savor as much of it as we could take in. Spoiler alert: we made it to Canada! Section K, here we come. 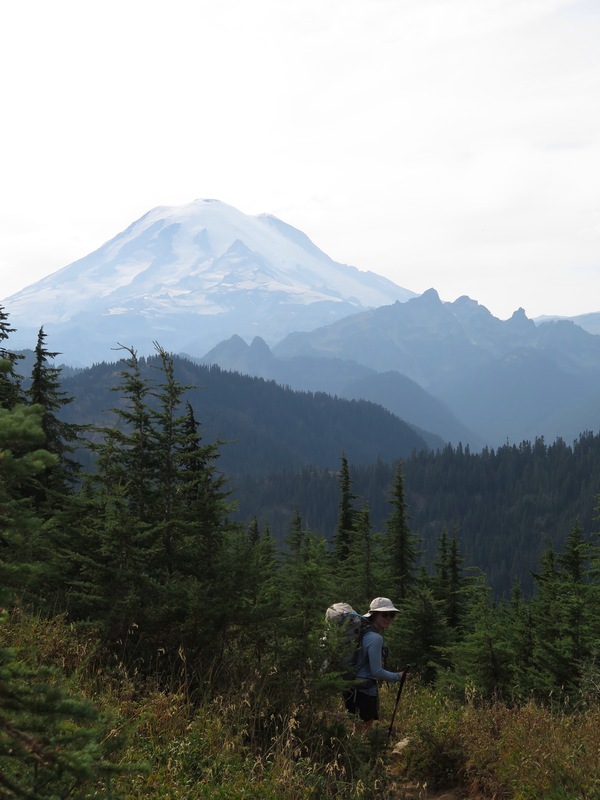 It was Labor Day weekend, so the woods were full of day hikers and campers on their way to Lake Valhalla (a worthy home for any Norse diety), or up into the Glacier Peak Wilderness for a few nights. Forecasts predicted that the weather would abate, but not until we were all treated (surprise!) to an overnight dusting of snow. Our feet felt like popsicles in our trail runners the next morning, then half-melted popsicles that afternoon. 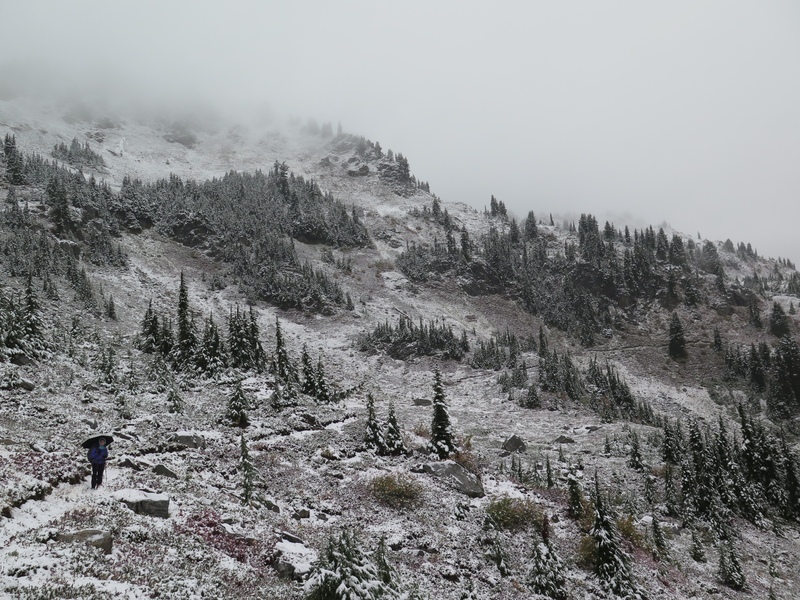 But the scenery – what we could see of it through the fog – seemed even more beautiful with an added coating of white. 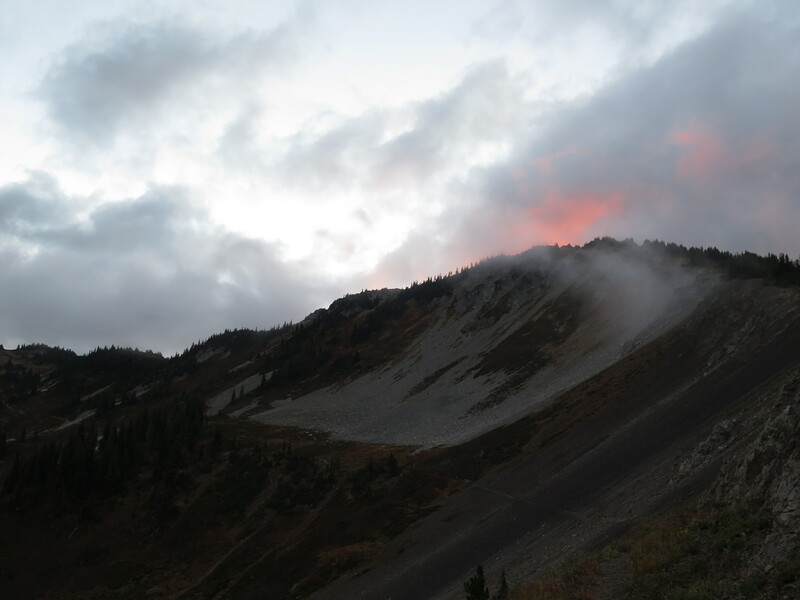 We felt thoroughly prepared with our rain gear, gloves, and umbrellas, but saw a few shivering hikers rush down the mountain back to civilization, chanting mantras about cheeseburgers, hot coffee, and beer. Veggie ventures into Labor Day snowfall. 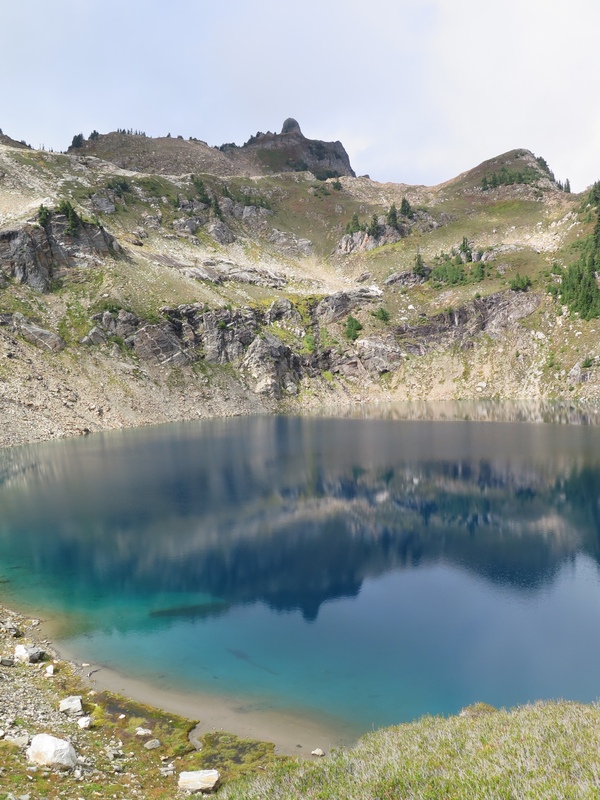 Micah Lake, Glacier Peak Wilderness. 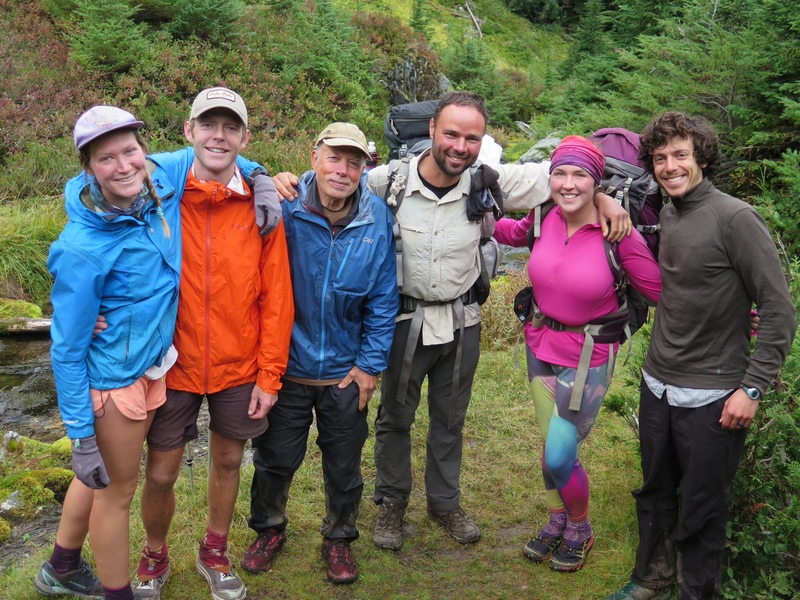 We also had the pleasure of meeting up with some of our favorite hikers, who, like us, were thrilled to have access to this once-closed portion of the trail. Some of them had already hitched up to Chelan and taken a ferry to Stehekin, ready to proceed north, when the heard about the section reopening. 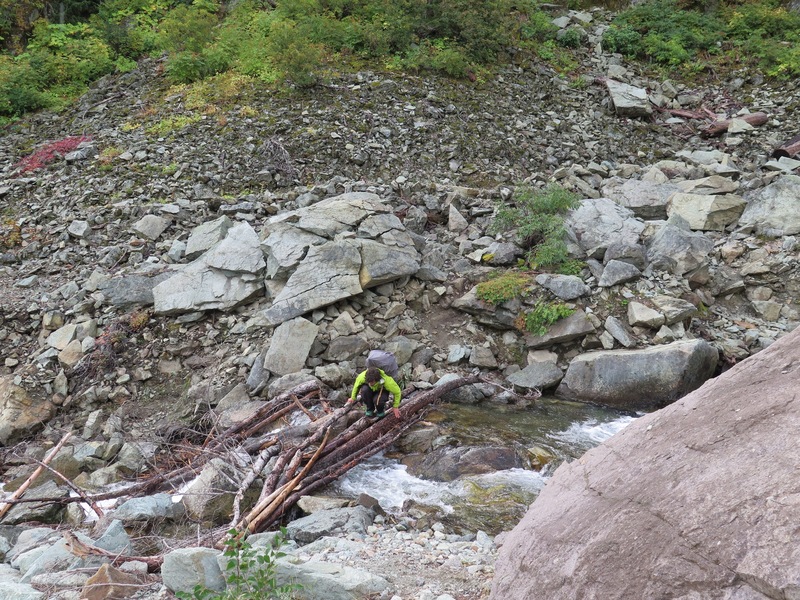 In true thru-hiker fashion, they turned around and started trekking south. 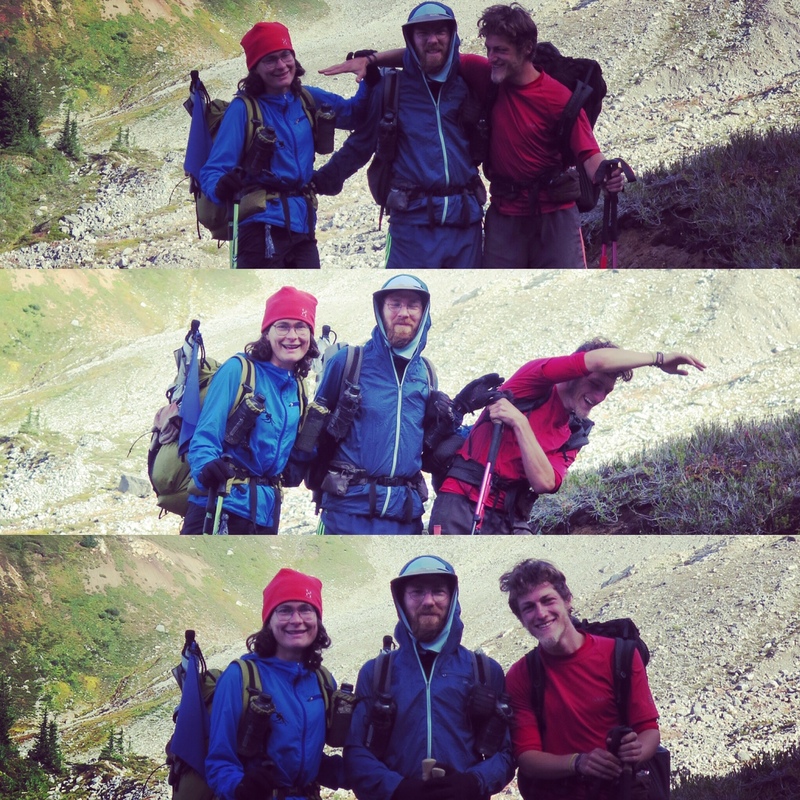 which made for a very happy intersection/reunion near Glacier Peak. It was one of those moments (and we’d have many more before our trip ended) when we realized that the people really make the experience. (Left to right) Sweetums, Skua, Ice Axe, Pounder, Twist, and Square. (Left to right) Sneezle, Backwise, and Leopard Sauce. 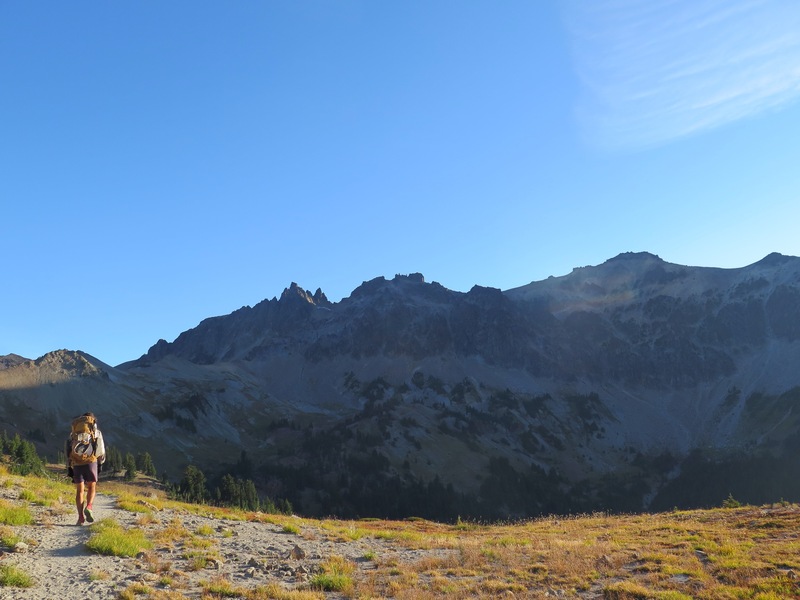 A few dozen miles later, we found ourselves in North Cascades National Park (our 7th!). 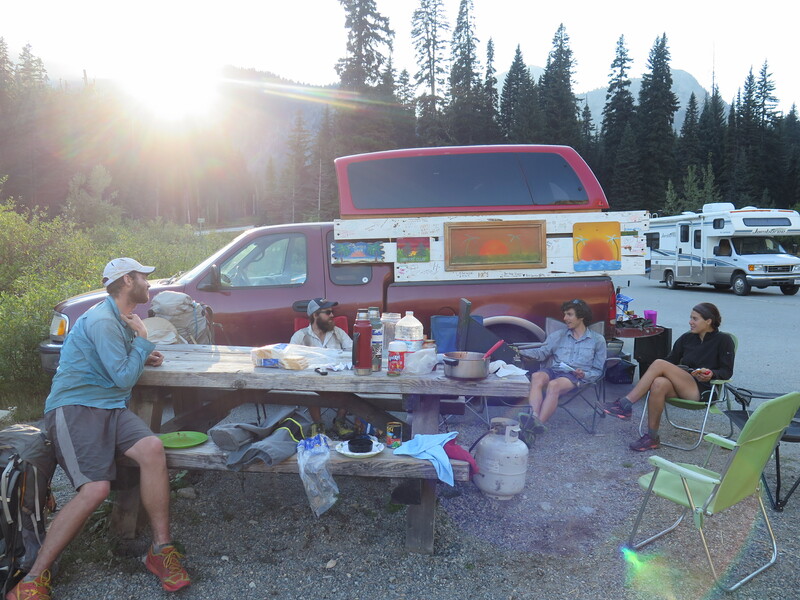 We caught the bus from the High Bridge Ranger Station (filled with only thru-hikers, save one brave couple who endured our collective stench) and headed into Stehekin, our last town stop. 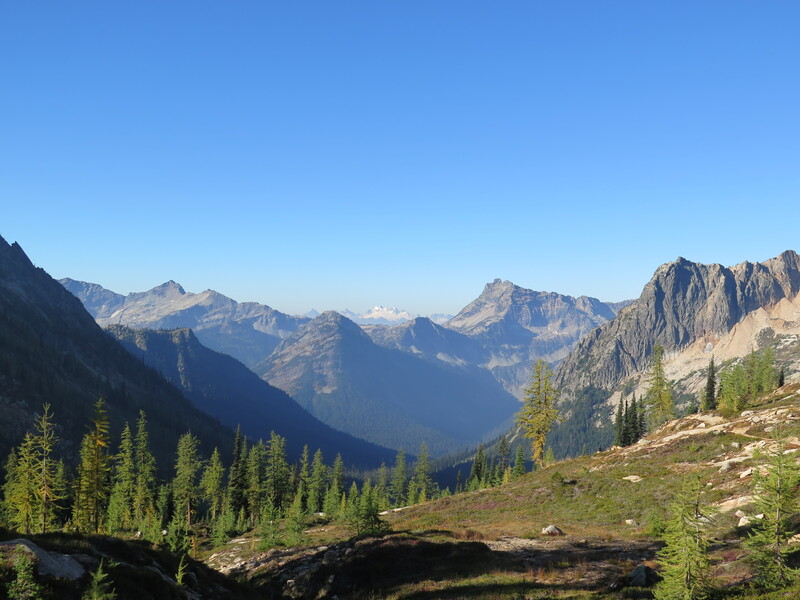 Stehekin is an idyllic place accessible only by boat, plane, or foot. They have an astonishingly good bakery, which the bus always stops at, and the best post office on the trail, at least in my opinion. They’ve had a rough summer due to all the fires, but, when we were there, you wouldn’t have known. To us, it was paradise. We can’t wait to go back for an extended stay. 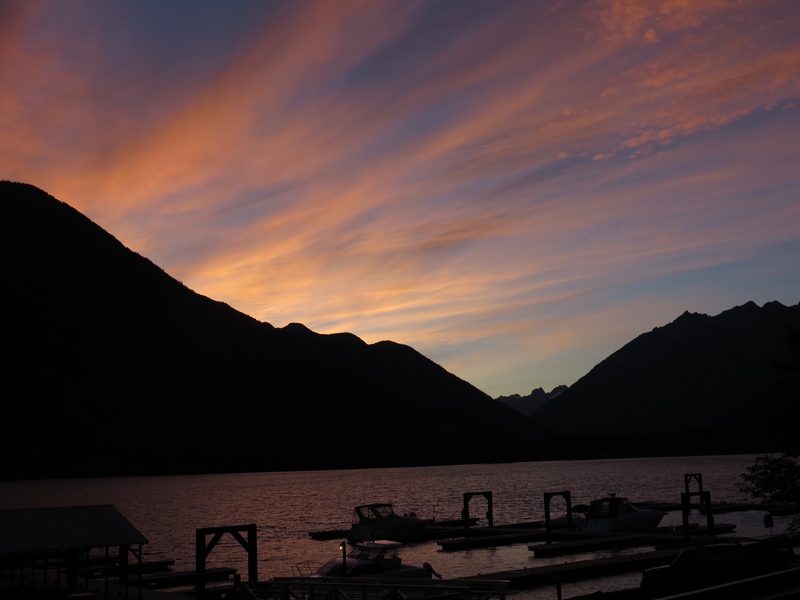 Sunset view from the Stehekin Lodge deck. We spent the night dining and reminiscing with other thru-hikers, sharing our favorite (and least favorite) moments from the trail. We’d all come so far, over 2550 miles, and faced just one more stretch. The magnetism of the border pulled us forward, but we couldn’t deny that we were somewhat reluctant to approach the end. Would we ever see these friends again? What would life after the trail hold for each of us? Soon we’d be back in society, trying to explain what it feels like to walk such a long way. But here we were, one last time, surrounded by people who knew exactly what it felt like. We are in a happy state of shock. 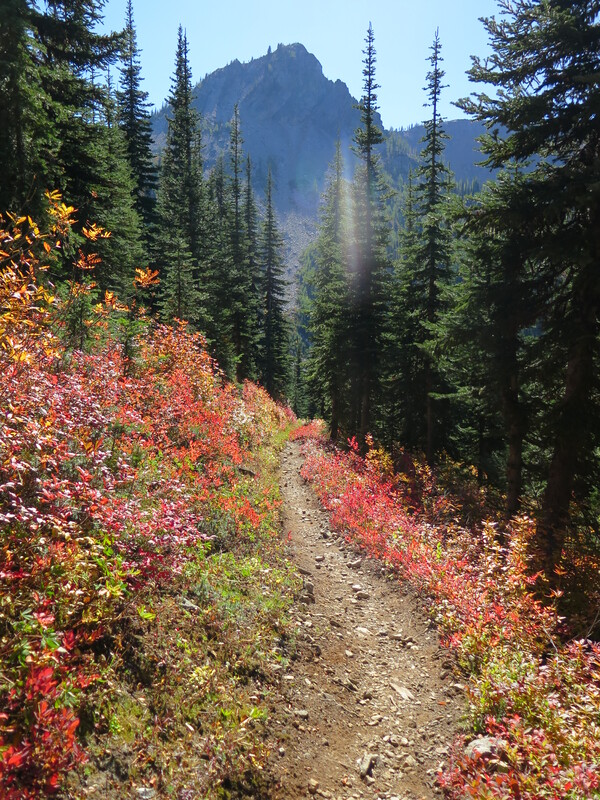 After five weeks of the trail being closed for many miles north of Stevens Pass, it is now all open. And it reopened this morning, the same morning that we showed up at Stevens Pass. We can’t believe our good fortune! We are so grateful for these miles (even though they’re said to be some of the hardest of the trail). Walking from Mexico to Canada may be possible after all. Part of the reason the trail has reopened is because of the immense amount of rain we have had. We had been hoping for rain to help with the fires, but after more than a week, we are (selfishly) ready for a break. 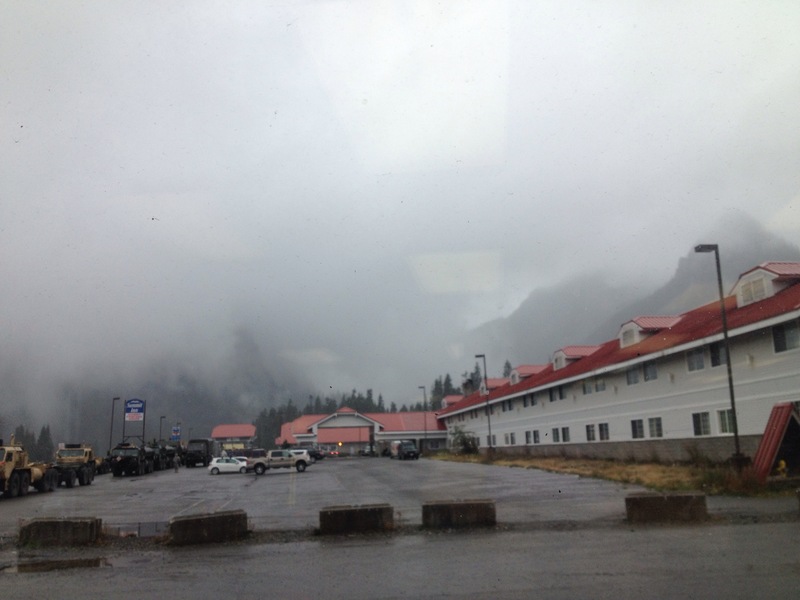 It was counterintuitive to leave the dry comfort of the inn at Snoqualmie Pass. It rained throughout our day off while we dried out our gear from the previous days’ deluge. 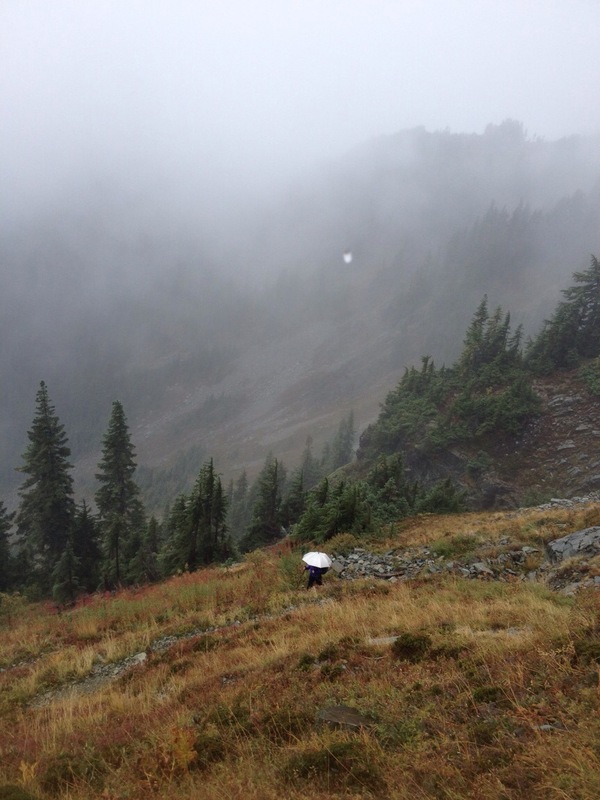 We took pity on the hikers who headed out into the wet weather, while we soaked in the hot tub. But then, inevitably, our turn came. The rain was predicted to last all week, so we had no choice but to go back into the fray and get the authentic “Washington Experience.” It was rough. It wasn’t pretty. 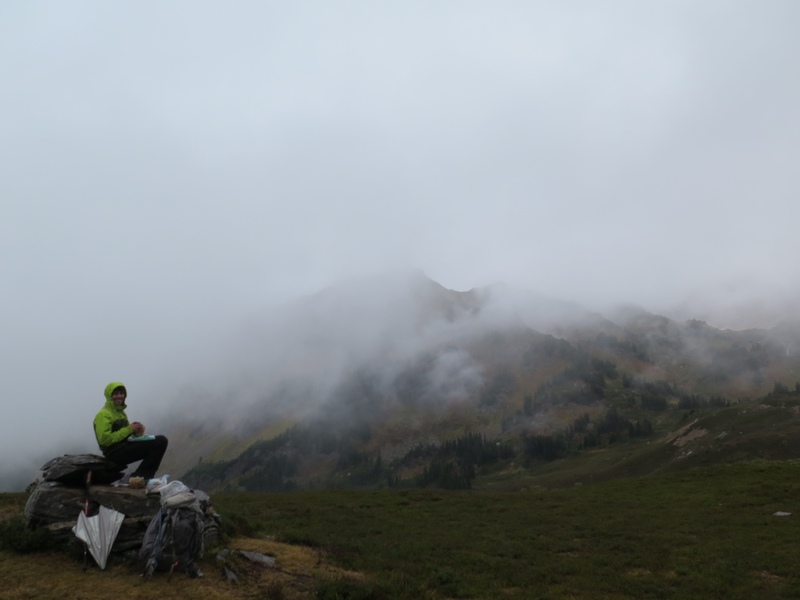 We climbed into the clouds, getting wetter and wetter, and it was difficult to see more than a few feet in front of us, let alone catch any glimpses of the views we had heard so much about. 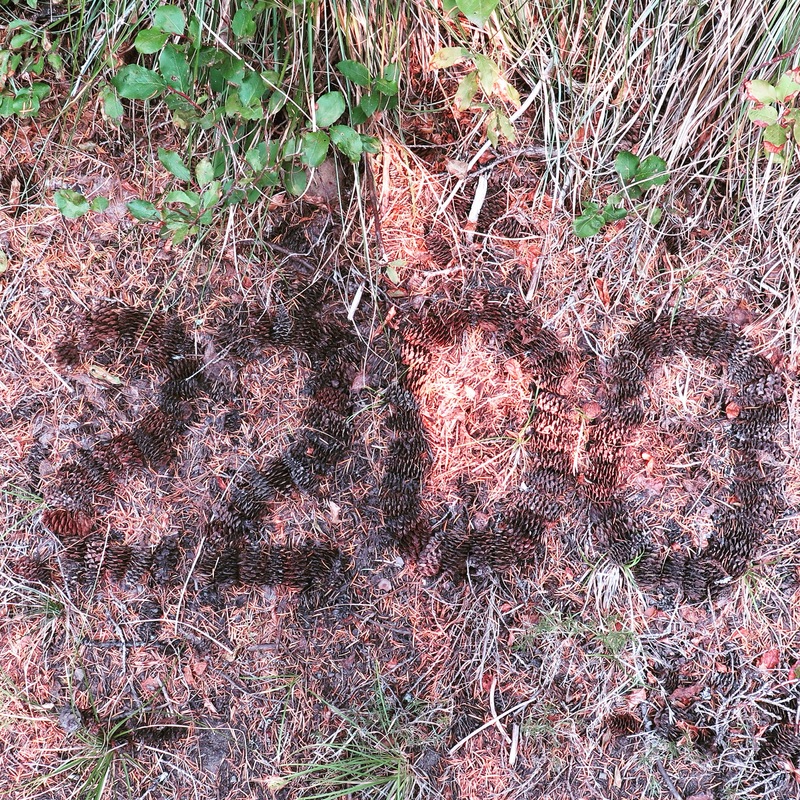 Even as we near the end of this hike, this trail has more lessons for us. Here’s what stuck with me from this stretch: The only way through is through. At high elevation, with cold rain (and snow) blowing sideways and low visibility, it’s tempting to throw up your hands and say, “This is terrible! I hate this!” But, then what? The answer is still the same: then, you keep hiking. There’s nothing else to be done, so you let yourself have your pity party while still putting one foot in front of the other. You just get through. Be OK with being uncomfortable. We take precautions and avoid recklessness and danger, but beyond measures of safety, there’s a certain amount of discomfort that just comes with the territory. 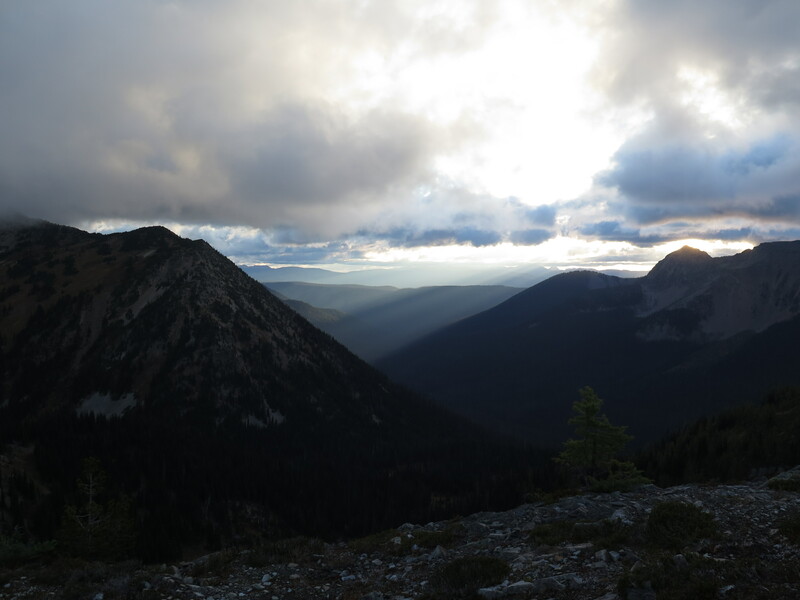 That’s when you take a deep breath, put on your wet hiking clothes, and accept the things you cannot change. Enjoy the rainbows! Finally, there’s a reward to enduring buckets of rain. Every day we got at least one rainbow. It’s hard to remember what you wanted to complain about when you’re looking at a rainbow. 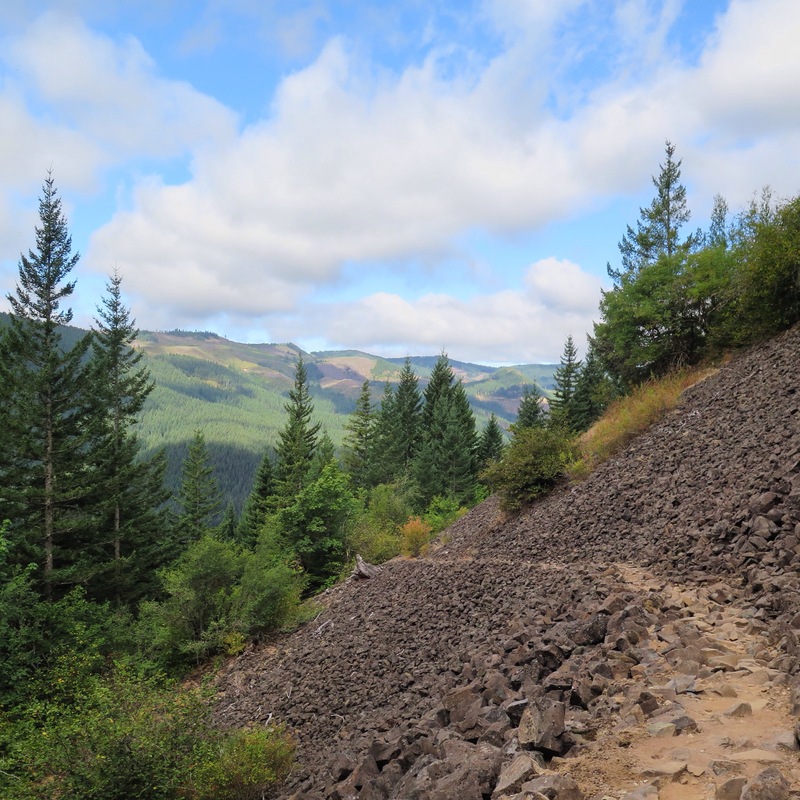 We are still adjusting to the news that there is more trail to hike after having accepted that we would have to miss Section K. But even with the additional 104 miles opening up, there isn’t much trail left. Less than 200 miles left to hike. With that, happy trails! 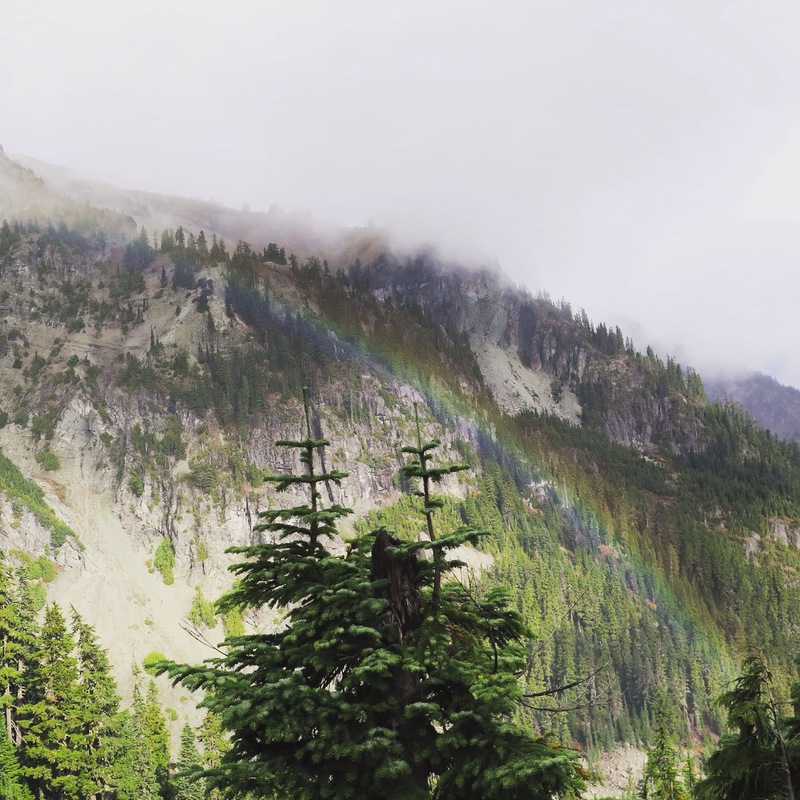 A rainbow welcomes us to Snoqualmie Pass. Anywho. 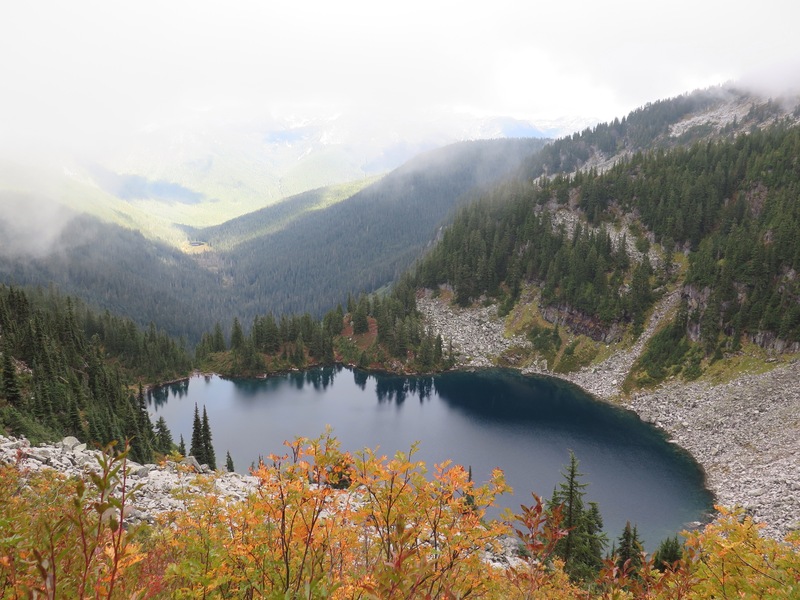 Washington continues to offer spectacular hiking. A tiny cut-through of Mt. 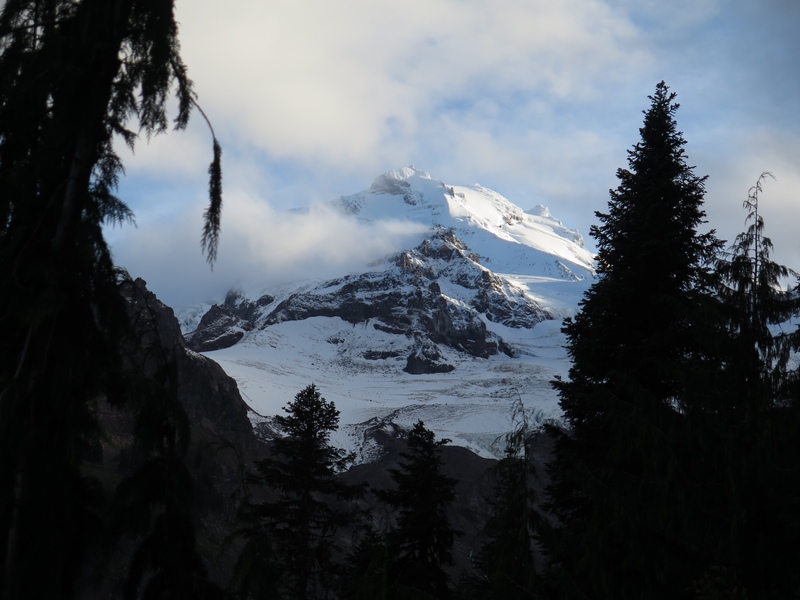 Rainier National Park (our sixth this trip!) brought us closer to that behemoth than we’ve ever been. 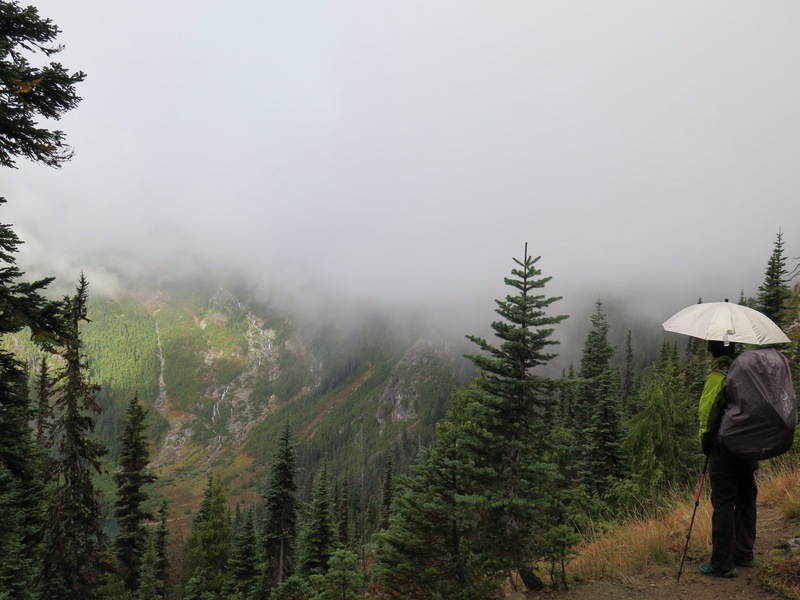 And while our views were fogged out at Chinook Pass, we loved watching the clouds weave in and out as we climbed through clear-cuts and around lakes. 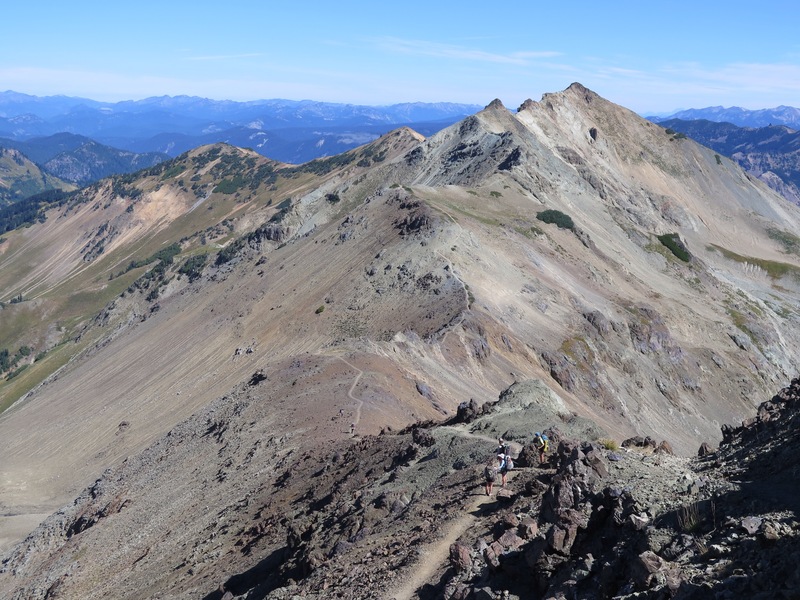 Side note: we happened to overlap with an ultramarathon yesterday, the Cascade Crest 100, part of which was run alon the PCT. We were passed by dozens of runners during the day, about 30 miles into their century trek. 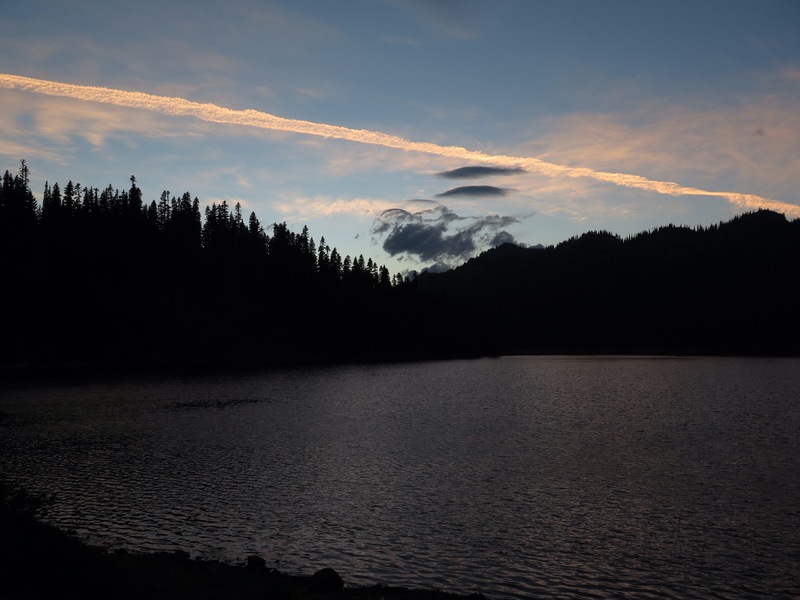 It was inspiring to see so many people sharing the trail cordially, and in such athletic fashion, though late in the day, with rains coming in, the race sounded miserable. Around 4:00 PM we asked a runner how he was feeling, and he said, “Great! But ask me in twelve hours.” Some humans are incredible. We’re spending a day here at the pass to let a bit of the storm system blow by and savor some time with friends. 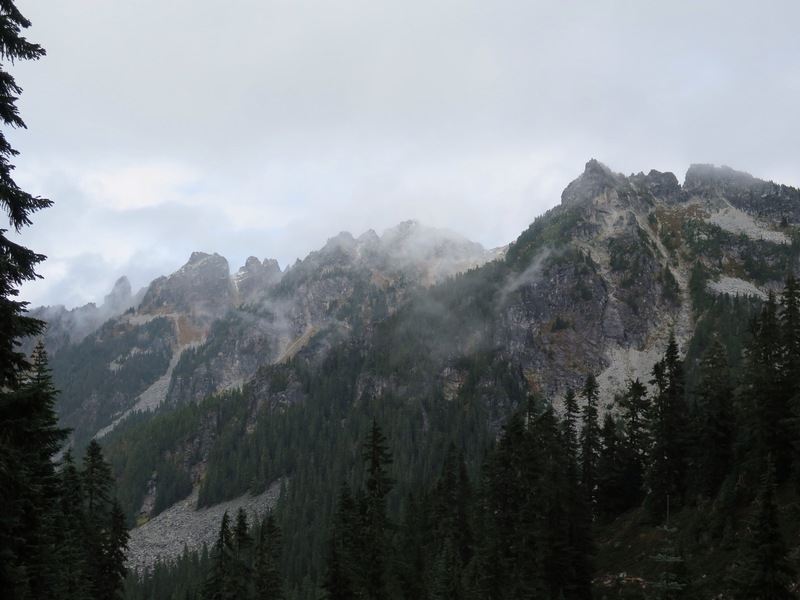 The scenery is supposed to change drastically as we move into the North Cascades, and people who know the area have darn-near drooled when talking about its beauty. Still no solid decisions on our fire-related plans, but we’ll keep you posted. Finally, a special shout-out to our buddy Chimp for the care-package. You sure know how to treat a hiker right. 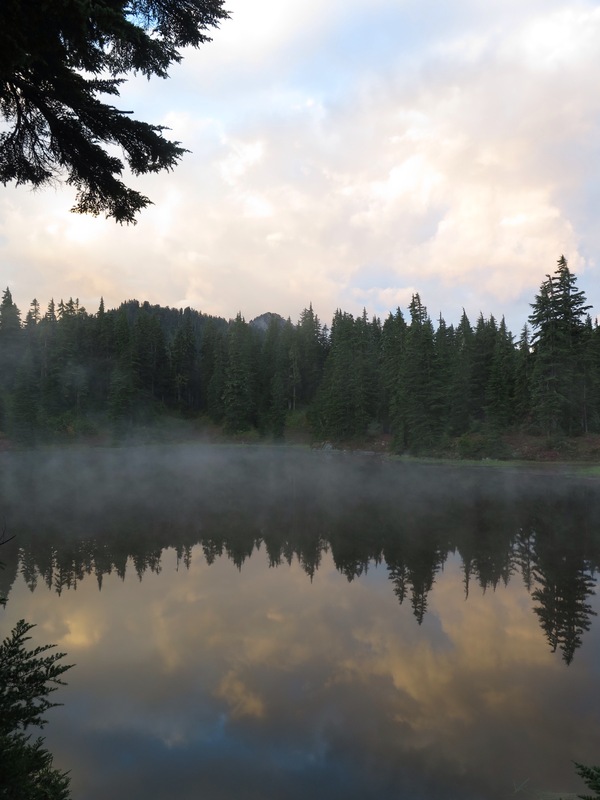 Misty mornings gave way to bright blue skies and prominent peaks for our first few days in the Evergreen State. 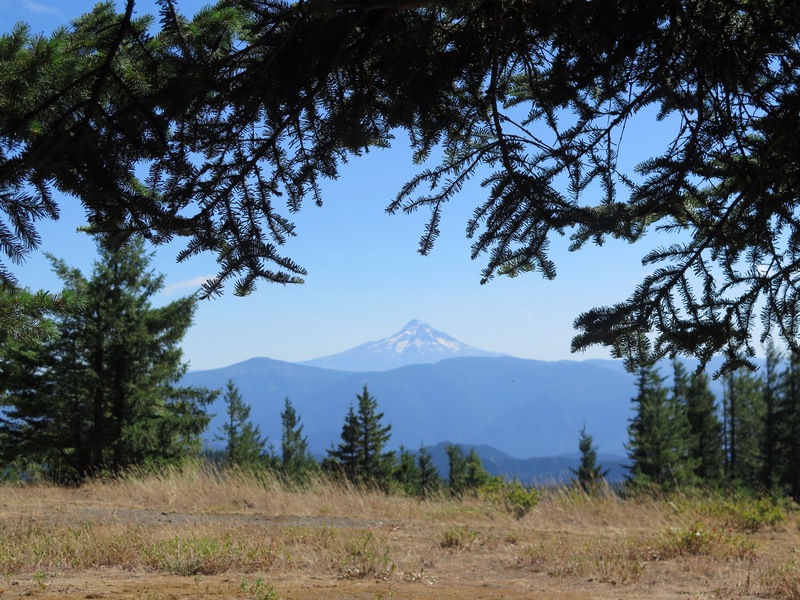 The terrain, unsurprisingly, felt a lot like northern Oregon, and we were pleased to find it easy on the feet. We’ve still been able to put in our 25-mile days without hurtin’. 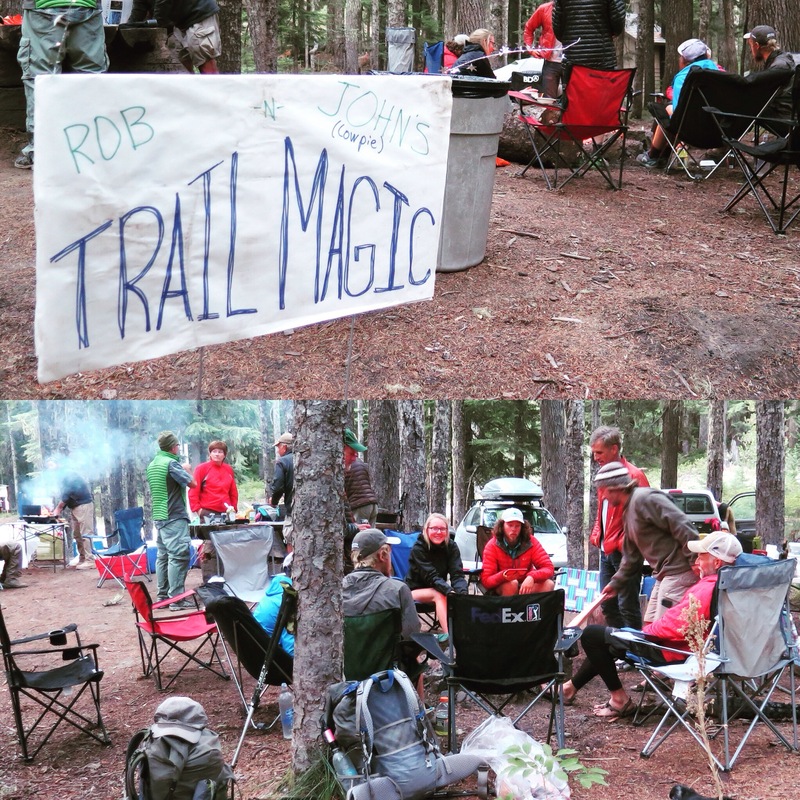 Our second day back from Portland, we heard rumors of trail magic where we had planned to camp that night, and sure enough, best surprise ever. Three meals a day cooked up by five guys with trucks full of food. 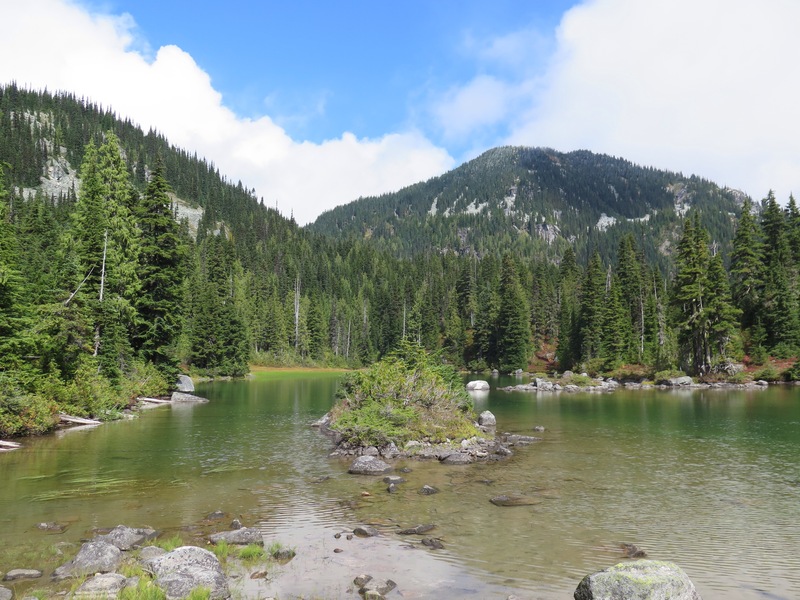 We hadn’t seen many hikers since crossing into Washington, but it seems they had all ended up here, huddled around the campfire with good food and great company. 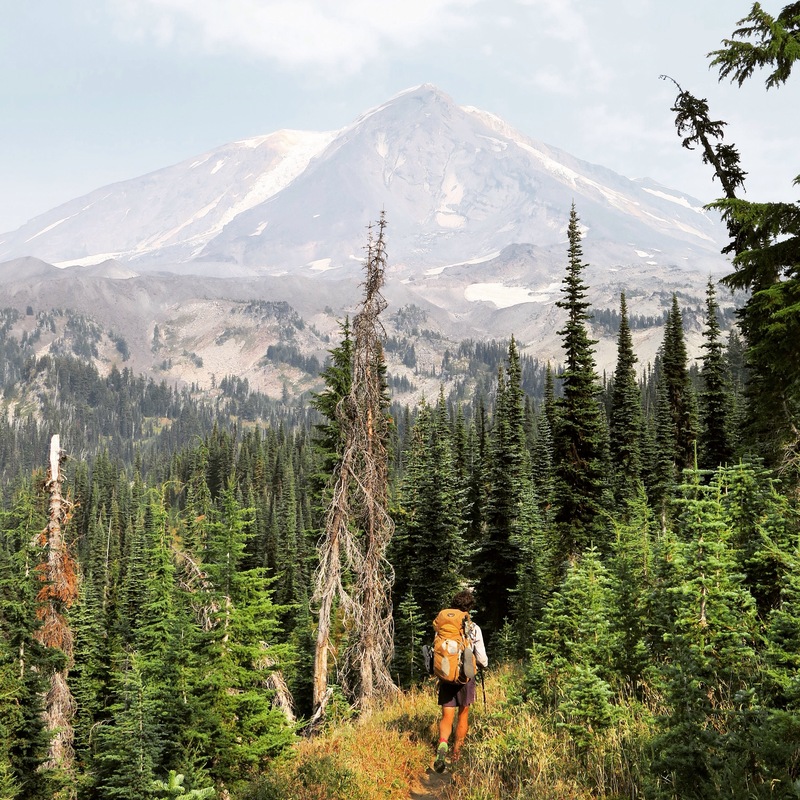 Square hikes around Mount Adams. 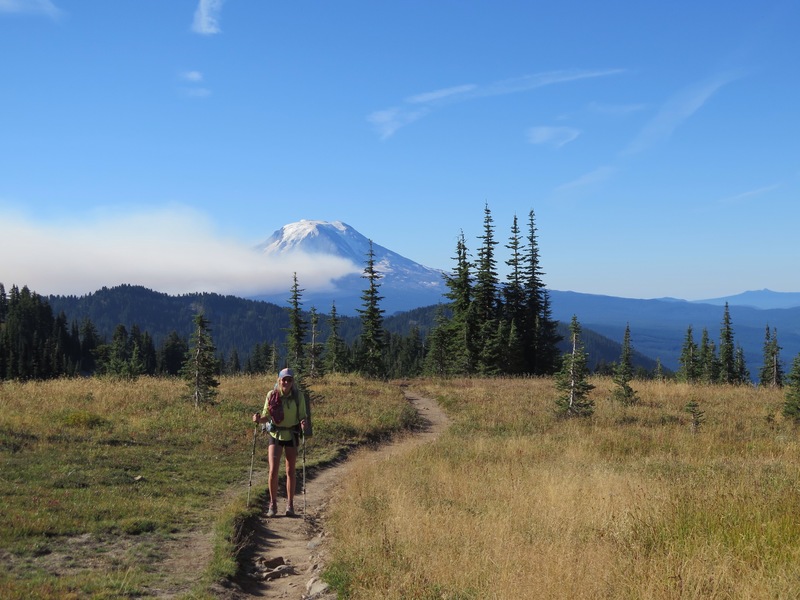 On that note, we walked around the base of Mount Adams and saw an enormous and expanding plume of smoke in the distance. 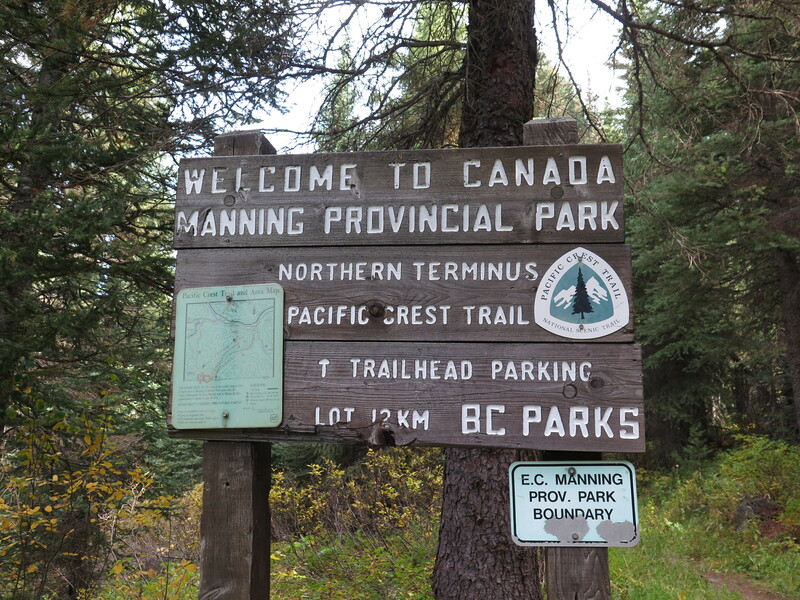 The trail had been closed in this area a few weeks back but had since reopened. The fire seemed to raged on, and the rising smoke was mesmerizing. We assumed that it must still have been safe for us to walk through, so we kept walking. 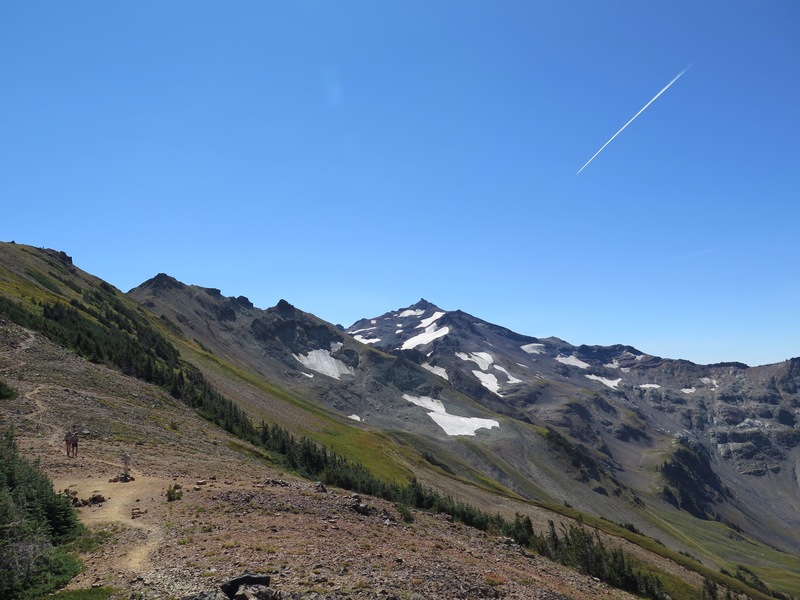 We found out later that just a few hours after we left the Mount Adams Wilderness, the Forest Service closed it – and 25 miles of the PCT – because of the fire we were watching. 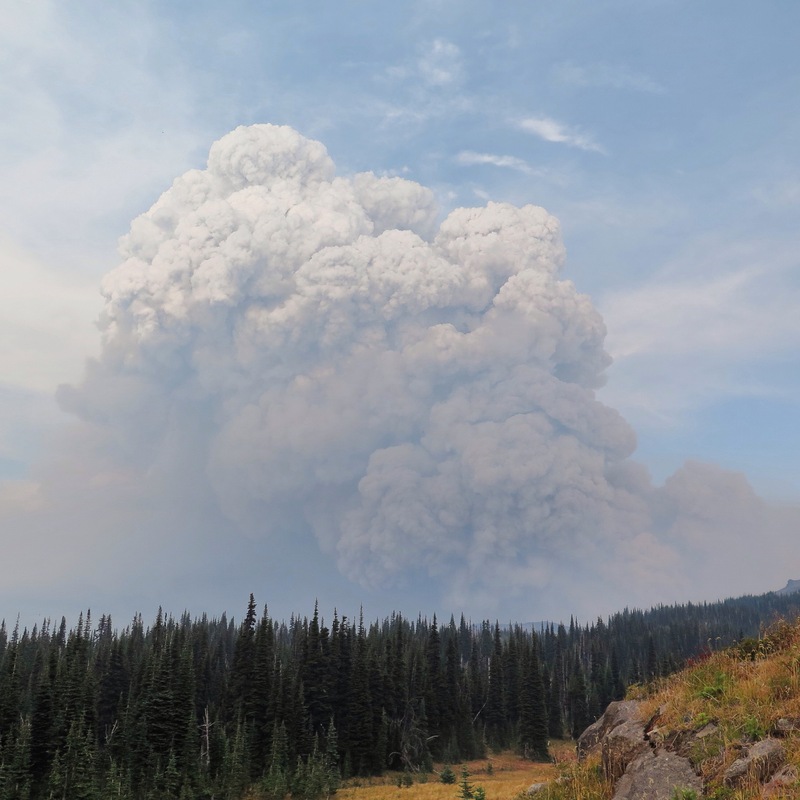 The Cougar Creek fire rages. 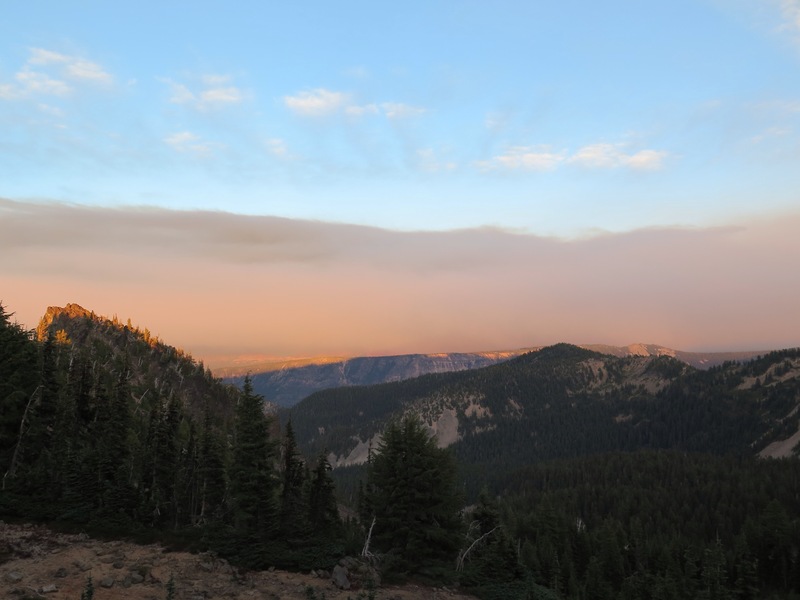 Currently, multiple fires are wreaking havoc in the communities and wilderness areas in central Washington. Firefighting resources are maxed out. 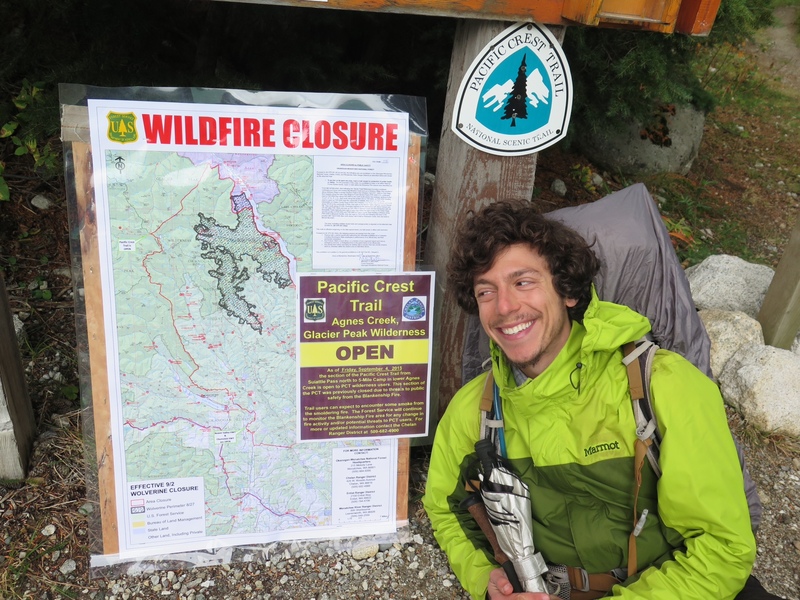 At least 100 miles of the PCT is closed to hikers further north, and originally planned reroutes are actively burning. The situation could get worse; it could get better. 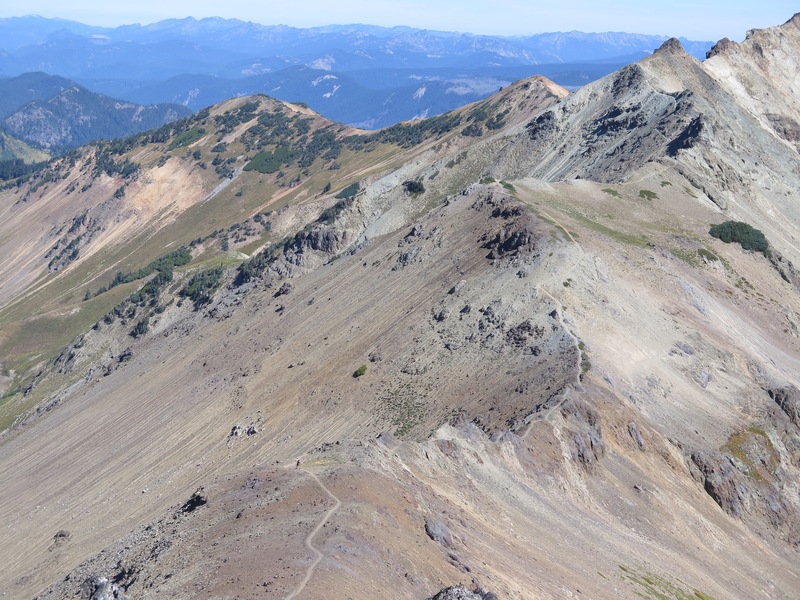 The PCTA’s advice is to “wait and see.” (For more details on the fires near the PCT, see the PCTA’s recent write-up.) We will be sad to have to bypass a section (or sections), especially ones we have heard are so beautiful, but we know that this comes with the territory. It’s fitting, though it carries a little extra sting, that the trail would throw us a curveball within the last 200 miles of this 2,650-mile journey, but – as our friend Key Lime says – “It’s all part of the adventure.” And our being blocked from a portion of the trail pales in comparison to the challenges that many of the surrounding communities are facing, as they risk losing homes and economic livelihoods to the fires. We’ve been enjoying dry, sunny weather, but this is a rare occasion when we are desperately hoping for rain. For now, there is still open trail to hike, and we are going to savor it. 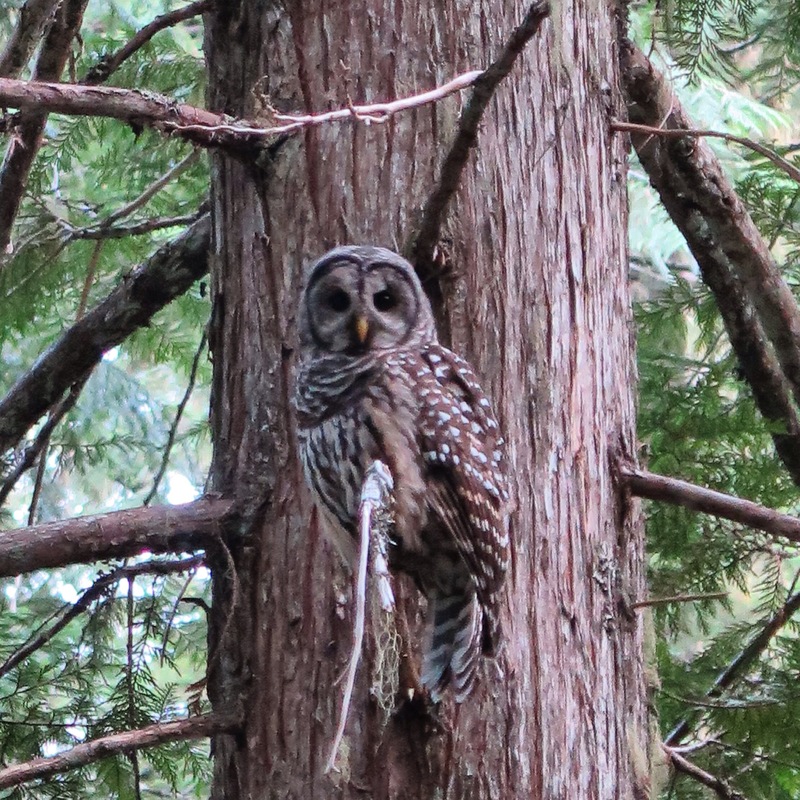 Yesterday was our four-month “hike-a-versary.” Four months on the trail, and we have seen some amazing things. 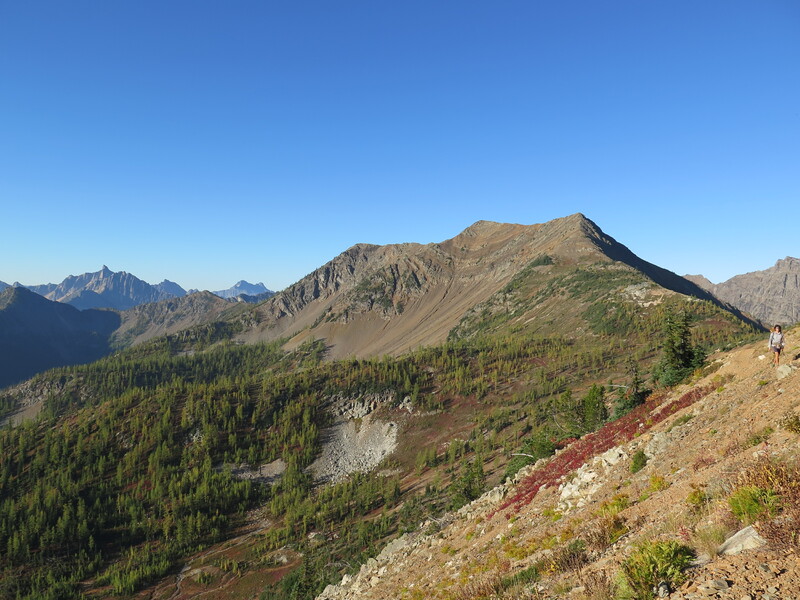 To top it all off, yesterday we walked through Goat Rocks Wilderness. We had been hearing about it for months: “It’s like the Sierras!” “Best views on the trail!” It seemed like a whole lot of hype. Then, as we got nearer, we’d been hearing from south-bounders that the smoke had obscured the stellar views. 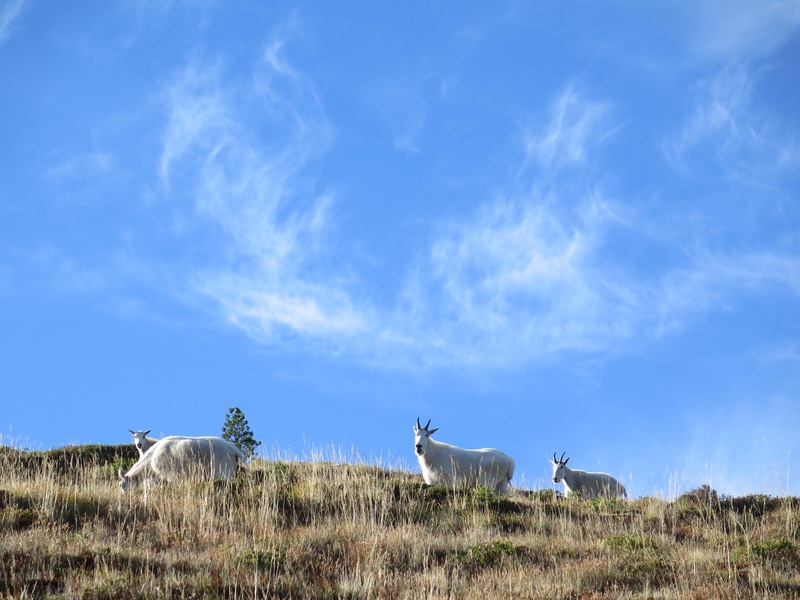 Happily for us, yesterday was a perfectly clear day, and Goat Rocks delivered. Making the day even more spectacular, we reunited with friends Pretzel, Road Runner and Key Lime after many miles apart. 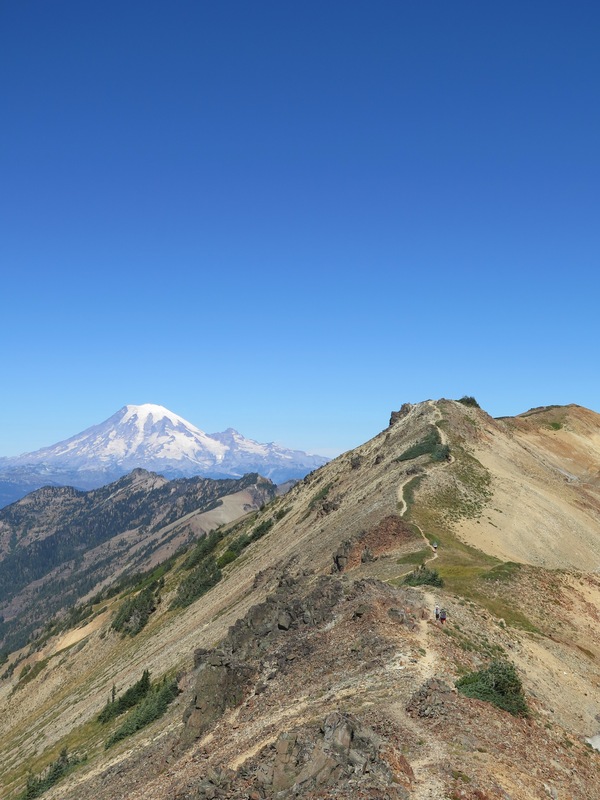 We took in panoramic views of Mount Adams, St. Helens and Rainier together and walked along the stunning – and occasionally terrifying – “Knife’s Edge.” A four-month gift, indeed. Now, enjoy the photographic spoils! Can you find Liability (above)?